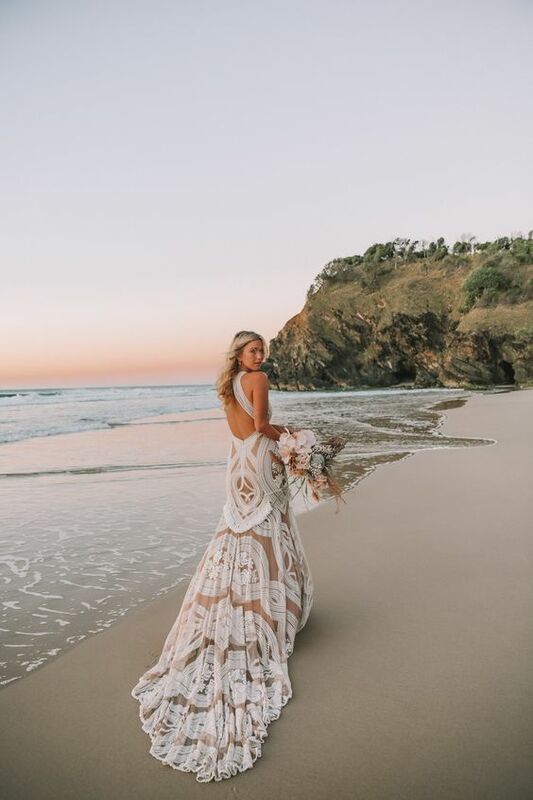 If you are the kind of girl who wants to experience Swoon all to yourself with your dearest friends and fam, the fab news is that we are now taking private appointments for those ready to make their dress dreams happen in a big way! Boho babes, this one’s for you! Rue de Seine gowns are an inspired mix of romance, art, and soul with the right amount of edge for the free-spirited bride. These magical pieces are handmade in New Zealand and range between $2800 - $5200. We will be showing their new, Wild Heart Collection by appointment only. This is the only time we get to offer a discount on Rue De Seine gowns, so make sure you get booked! Check out more Rue De Seine on our Pinterest board! Our coveted Hayley Paige Trunk Show is here! We will have her Fall 2018 Collection in Swoontown! Hayley’s gowns are fresh and unique, and we are smitten. Her gowns have oodles of personality. They have whimsy. They are romantic. They are like nothing else. The Hayley Paige numbers are in the $3000-$5500 price range. We are spring cleaning our accessories + veils and we’re sure that the beauties we are selling will give you joy. We are including headpieces, necklaces, earrings, and some of our dreamy veils. Baubles will marked down to Swoon-inspiring prices. Remember, we only offer up our sample accessories for sale once per year. Feel free to just pop by Swoonland to discover what lands on the sale table. We couldn’t agree more, which is why we are dedicating another weekend to the art of accessorizing with another favorite designer of Swoon: Haute Bride. The Haute Bride Trunk Show is a lot like playing in the most amazing jewelry box you can imagine. Come explore the newest addition to Swoonland! Rish mixes textured laces, features unique details, and uses airy fabrics to create a unique elegance while still keeping comfort priority! Designed and created in Israel, these beauties are pure effortless perfection. Gowns in this collection are priced between $2000 and $4000. To add to the excitement, we’ll be doing 10% off trunk show gowns. Hayley Paige is the “It Girl” in bridal. Her gowns are fresh and unique, and we are smitten. Her gowns have oodles of personality. They have whimsy. They are romantic. They are like nothing else. This is the first size inclusive Hayley Paige trunk show to come to Swoon AND it’s the best of her collection!! The Hayley Paige numbers are in the $3000-$5000 price range. We want every body to feel beautiful in Swoon gowns. The dresses will be here for one weekend only; however we will also be debuting a lot of new Swoonie Plus size dresses that weekend, so, we will be doing a 10% discount on all Curve gowns to add to the fun! Boho babes, this one’s for you! Rue de Siene gowns are an inspired mix of romance, art, and soul with the right amount of edge for the free-spirited bride. These magical pieces are handmade in New Zealand and range between $2800 - $5200. We will be showing their new, Wild Heart Collection by appointment only. This is the only time we get to offer a discount on Rue De Seine gowns, so make sure you get booked! We’re decking the halls here at Swoon with the gorgeous accessories for our Spring and Summer 2019 brides! From head vines to flower crowns, to sashes to veils, we are bringing in some seriously cool and seriously beautiful baubles. This is your time to shine — come and find your dream veil or the perfect little Swoony Sparkle to top off your bridal look! We’ll have holiday tunes and champagne to boot, so plan on coming in and joining the cheer! We’ll be showing the accessories by appointment only on Friday and Saturday, the 7th and 8th. Plus we’ll be adding to the holiday cheer by offering 10% off goodies starting Wednesday and extending through the weekend! Rebecca Schoneveld is the ultimate cool-girl designer. The coolest Brooklyn-based girl herself, Rebecca’s gowns are light, chic, romantic with a little edge. Rebecca is incredible about accommodating customizations to her gowns and we love her focus on Women of All Sizes. Rebecca Schoneveld gowns range in price from $2,000-$4,000 and we will be offering 10% off for this event! Check out more Rebecca Schoneveld on our Pinterest board! Pronovias gowns are iconic in bridal fashion. Pronovias always is pushing things forward and creates a vast and diverse collection. From boho to glam to romantic, there are so many looks within the one collection. Gowns start at $1500 with most of the collection sitting between $1800 and $3400. Per our usual, we will be doing 10% off trunk show gowns. For the bride who wants to wow. Atelier Pronovias gowns are chic, glamourous, and don’t shy away from drama. They are masterpieces of fashion. Made in Barcelona, these beauties start around $2900. The bulk of the collection is $3500-$6500. We will be doing 10% off trunk show gowns to add to the ravishment. We couldn’t agree more, which is why we are dedicating another weekend to the art of accessorizing with another favorite designer of Swoon: Haute Bride. The Haute Bride Trunk Show is a lot like playing in the most amazing jewelry box you can imagine. Call us at 775.826.0505 to make an appointment. Our coveted Hayley Paige Trunk Show is happening April 6th & 7th! We will have her Spring 2017 Collection in Swoontown. Hayley’s gowns are fresh and unique, and we are smitten. Her gowns have oodles of personality. They have whimsy. They are romantic. They are like nothing else. The Hayley Paige numbers are in the $3000-$5500 price range. Call us at 775.826.0505 for an appointment. Our fav Denver-based designer babe, Sara Gabriel, always says, “The veil makes the bride.” It’s true. The very right veil can make the very right dress even more amazing. No appointments needed. Limited reservations accepted. Calling all unicorns! Our Blush by Hayley Paige Trunk Show is Swoon-bound for one weekend only. Blush gowns are designed by dress goddess Hayley Paige and have all of the whimsy and romance of her signature collection, but at a bit of a sweeter price point: $1700-$3500-ish. Call us for an appointment. We are celebrating women of all sizes with our Curve Collection trunk show. We want every body to feel beautiful in Swoon gowns. We are decking the halls at Swoon with the gorgeous accessories of Untamed Petals. From head vines to flower crowns to sashes to veils, this collection is seriously cool and seriously beautiful. We’ll be showing the accessories by appointment and adding to the holiday cheer by offering 10% off Untamed Petals' goodies. 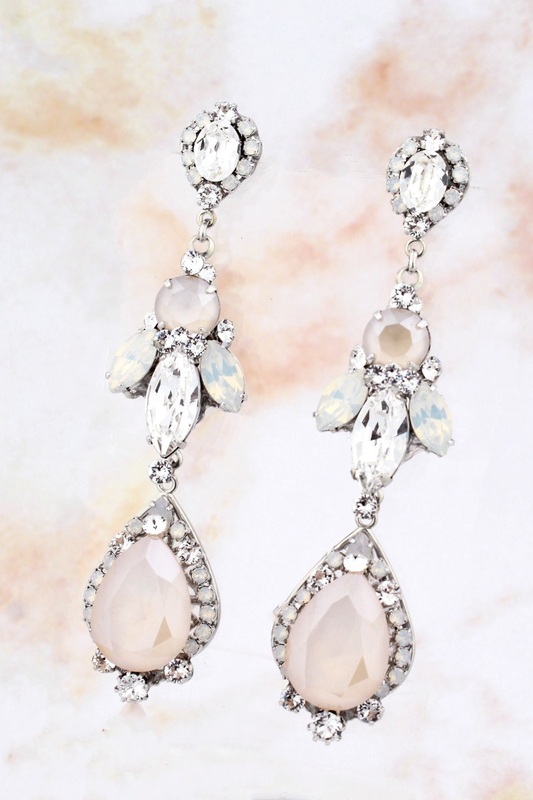 The newest collection from Tara Keely by Lazaro (yes, that Lazaro) is simply outstanding. We were so in love with so many of the pieces in this collection that we decided to have a trunk show to bring them ALL to Swoon. 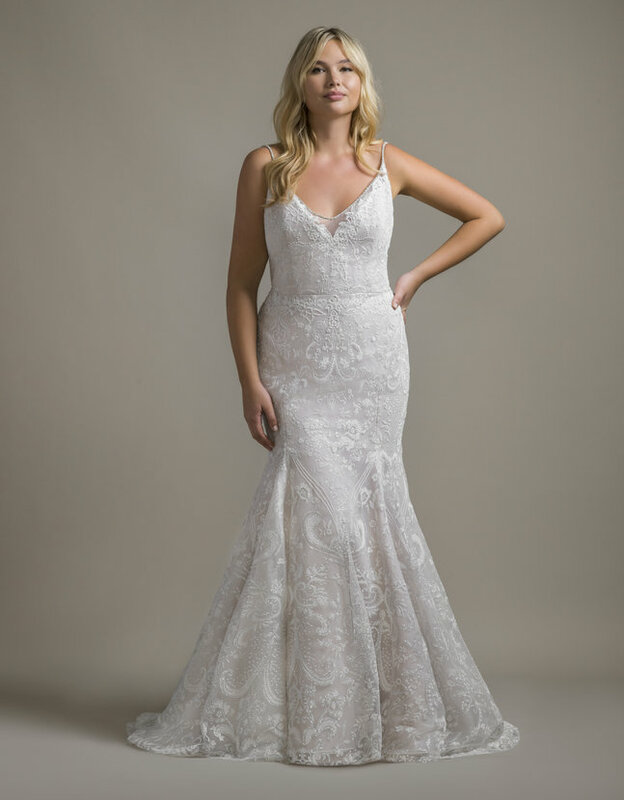 The trunk show is two days only and per our usual we will be showing by appointment and doing 10% off Tara Keely gowns to add to the fun. Swoon is turning nine! We are going to celebrate for two days where we will be giving our fab customers the gifts. More details to come, but there will be champs and cake and presents. The Haute Bride Trunk Show is a lot like playing in the most amazing jewelry box you can imagine. Call us at 775.826.0505 to make an appointment. Swoon hearts Sara Gabriel Accessories and we so enjoy our spring tradition of hosting a trunk show for her. Sara Gabriel's accessories are perfectly Swoon-y. Everything by Sara Gabriel is custom made and the collection is chic and totally fabulous. Sara's sweet little tag line says it all: Fresh. Adored. Couture. As the pieces from this collection are made just for you, we can customize almost anything, offering you the opportunity to customize pieces to your heart's content. We will also offer 10% off on all of her pieces to add to the fun. Our coveted Hayley Paige Trunk Show is back! Hayley is the “It Girl” in bridal. Her gowns are fresh and unique, and we are smitten. Her gowns have oodles of personality. They have whimsy. They are romantic. They are like nothing else. The Hayley Paige numbers are in the $3000-$5000 price range. Call us at 775.826.0505 for an appointment. The Swoon sample sale is back! All gowns will be priced between $500-$1800 with the bulk priced right around $1000. This is the event for you if you are looking for a deal. We are rewarding decision makers and offering an extra 10% off on Wednesday, February 22. We will be showing the samples on a first-come, first-served from 12-7 on Wednesday and 10-4 on Thursday. We are going to take a limited number of 45-minute reservations in one of our fitting rooms. In general, be prepared for limitations on your time in the dressing room and to wait for a dressing room if there is a crowd. We have a whole game plan to keep things lovely and fun and efficient for all. Guest count is limited to two to three guests per bride. Show off those curves, ladies! Our annual WTOO Plus-Size Trunk Show is back. The sample gowns for this event are in sizes 18 to 24. This is a great opportunity to shop our regular plus-sized collection and then beyond, as we will have a number of visiting gowns sent in for the weekend. We know it makes a huge difference to be able to try on gowns that actually fit. This to-do books up quickly. Call us at 775.826.0505 to snag an appointment.